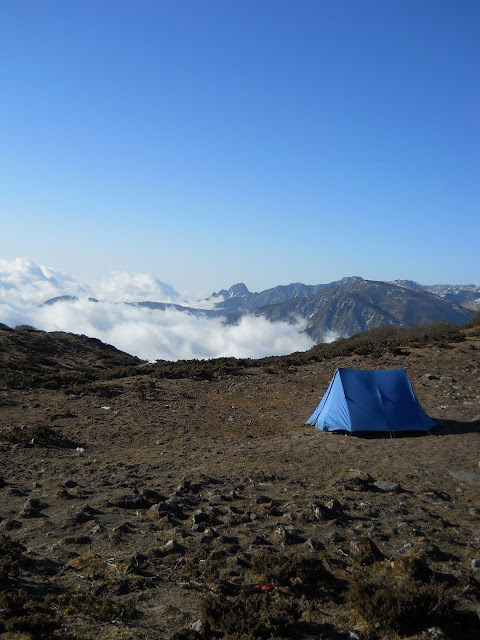 My small blue home in the high Alpine meadow of Dzongri, with about 45 minutes to go before bad weather moved in. This was taken on a bright, warm, and sunny morning, before a dark, cold, and snowy afternoon. First of all, allow me to thank the mysterious and illusive Mr. Leo Cloppenburg from Germany, without whom my trek to the base of Mount Kanchenjunga, the world's 3rd tallest mountain, would not have been possible. I haven't a clue who you are, but I am deeply in your debt. The reason why I owe this German, who in fact I have never met, has to do with the rather irritating regulations imposed by the Sikkim state government for foreigners trying to visit Kanchenjunga National Park. Technically, a foreigner isn't supposed to enter the park without at least one other foreigner, and a guide. I had a guide, and quite an excellent one at that, but no extra foreigner. Frankly, I'm not quite sure what purpose the "group of two or more Firangis" rule serves, and neither, apparently, do any of the tour operators based in Yuksom. But it didn't matter. In making my permit for entering the park, the man I was working with in Yuksom, Raju, otherwise known as D.B. (which confused me for a while, as I thought Raju and D.B. were two different people), worked his permit magic, and somehow managed to obtain a fully legal permit for both me and Mr. Cloppenburg, who, apparently, is invisible. Close up on the vast prayer wheel. 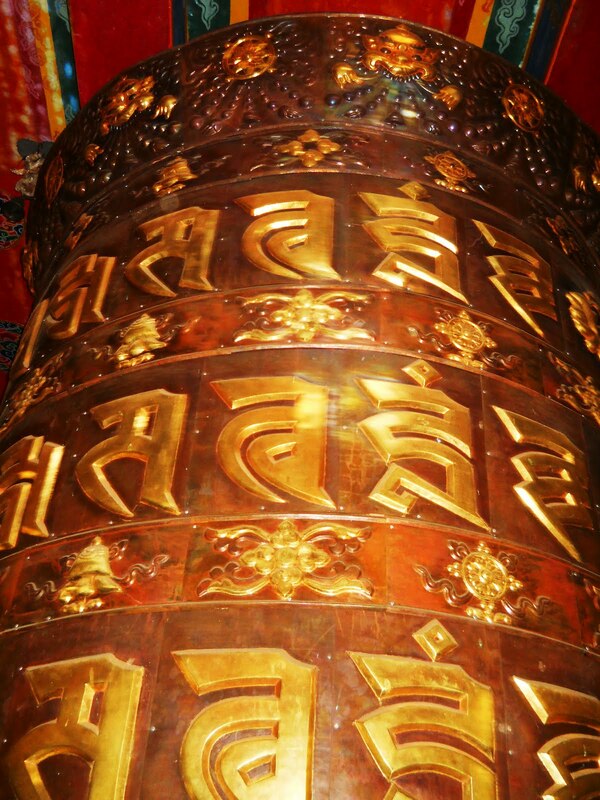 What is written in the mantra "Om manipadme hum" not in Tibetan, but in Sanskrit. 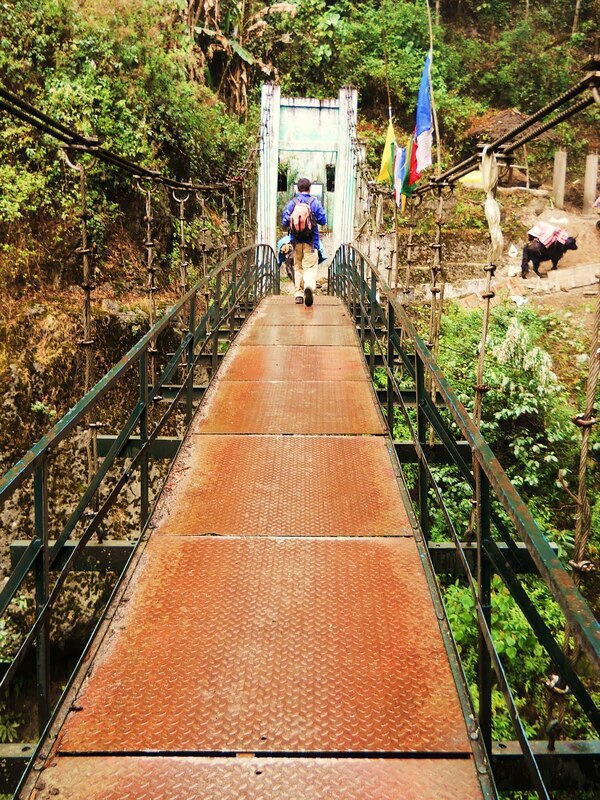 There were little Sikkimese kids running around, trying the turn the prayer wheel as fast as they could. Morning in the jungle on the path up to Dubdi Monastry. 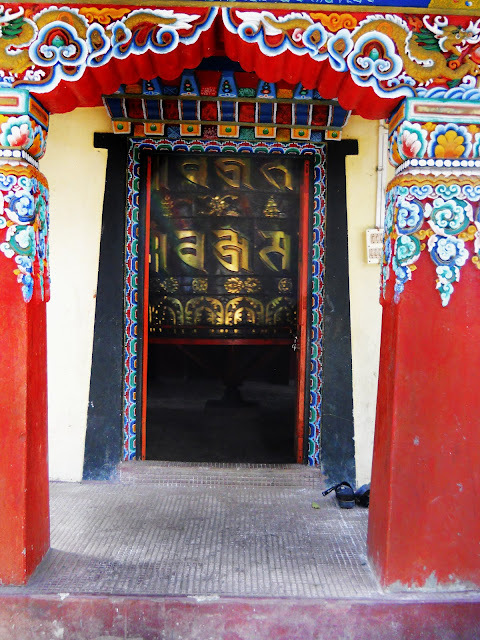 Dubdi Monastery, the oldest in Sikkim. Built in 1701, its monks are followers of the Nyingma, or "Old School" sect of Tibetan Buddhism, from which the other three developed. 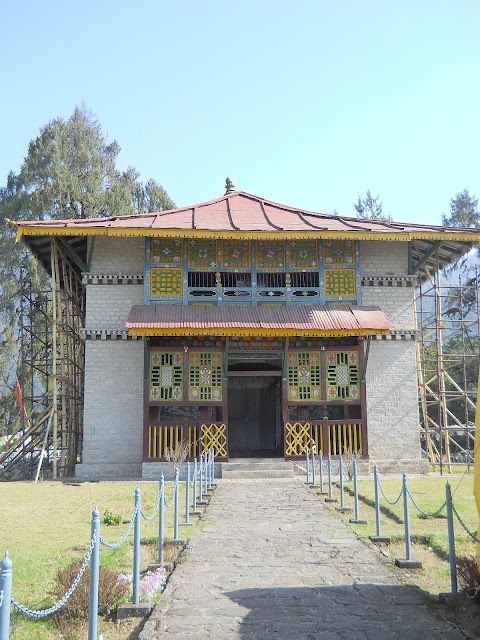 The scaffolding you can see on the side of it was put up to repair damage the monastery received in an earthquake last year which devastated much of Sikkim. A protector deity, or Dharmapala, on the wall of the antechamber leading to the main prayer room. The story with the Dharmapalas goes that they were originally evil demons, but were pacified by Padmasambhava (who brought Buddhism to Tibet from what is now Pakistan in the 8th century), and then switched sides and became defenders of the Buddhist faith. Another protector deity. 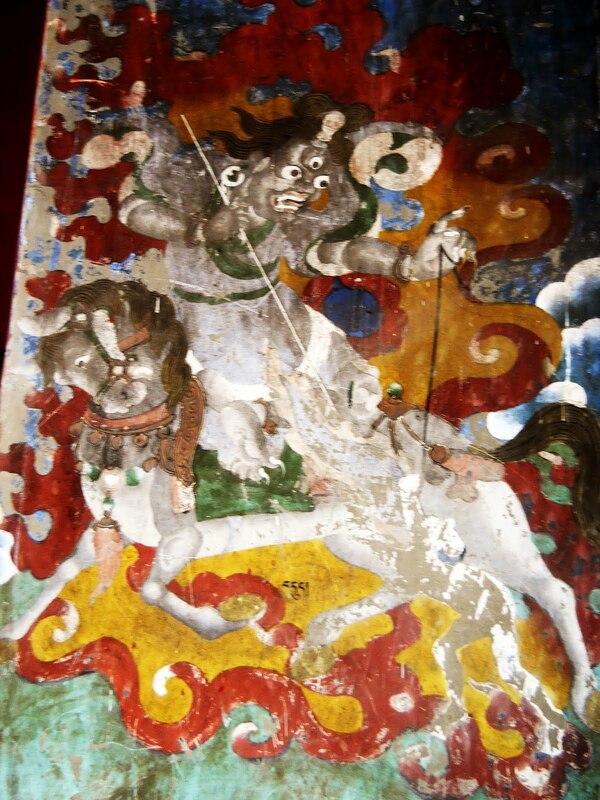 I think, judging by the horse, that this may be Devi Lhamo, the Tibetian Buddhist version of the Hindu Goddess Kali. Among other things, she goes about her business with a human skin slung across her shoulder, along with a skull full of blood, and a bag full of diseases, dealing out death and destruction to all enemies of the the Dharma. What a job! Prayer flags in the woods near Dubdi Monastery. 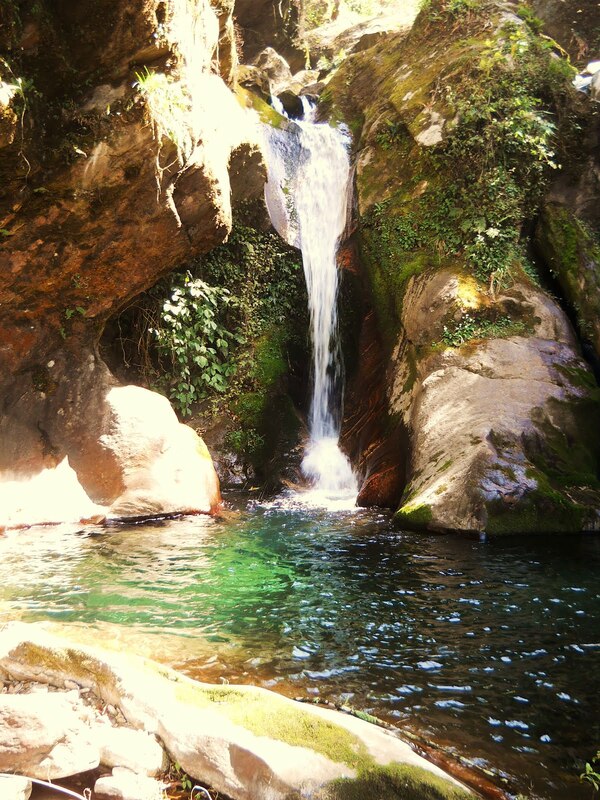 A waterfall I stumbled into, wandering around behind Dubdi Monastery. I was looking for the famous Phumru Falls, and was told by a certain gum-booted Nepali that these were them...however, they weren't. But, hell, they were still damn nice, and I'm not complaining. There were three sets of falls, of which this was the lowest. You could climb up to the second, though the third, as nearly as I could tell, was inaccessible without climbing gear or large risks. 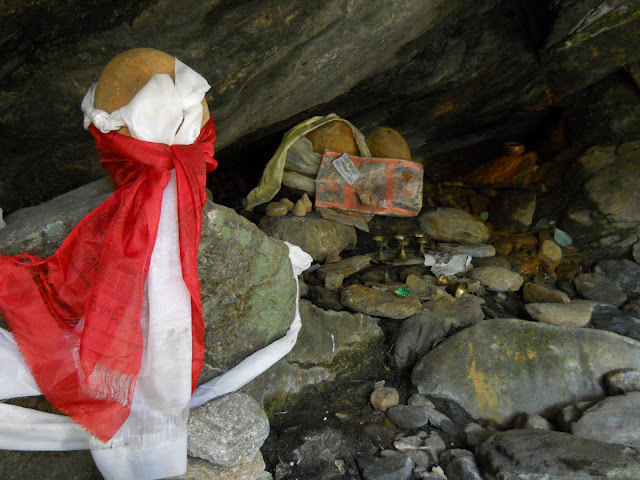 A small local shrine in an alcove next to the second set of falls. Water was dripping out of the rock, which I was told had curative properties. 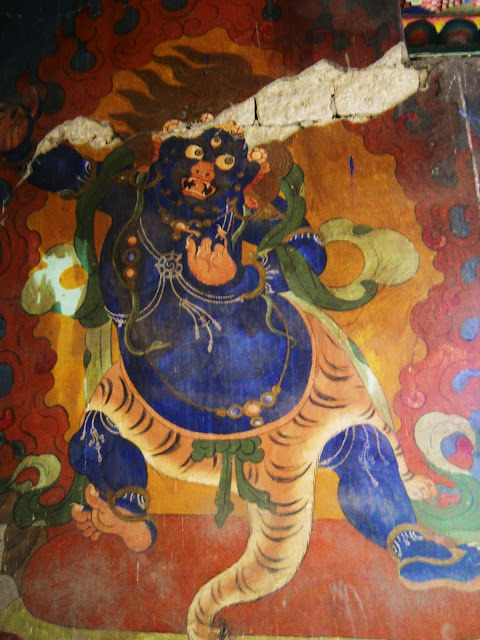 A small Nyimgma Lama from Dubdi Monastery, in the alcove shrine. 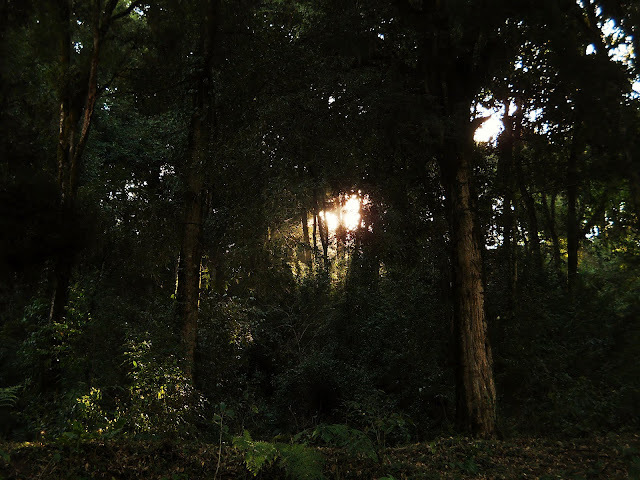 He surprised the hell out of me: In order to get up to the shrine, you had to take a faint, partially overgrown trail up about a hundred feet through the jungle. When I got up to the alcove shrine, which overlooked the second set of falls, I started taking pictures, assuming, judging by the state of the trail, that the place didn't get too many visitors. Much was my surprise when I turned around and was suddenly confronted by this small bald monk. He seemed pretty surprised to see me as well. 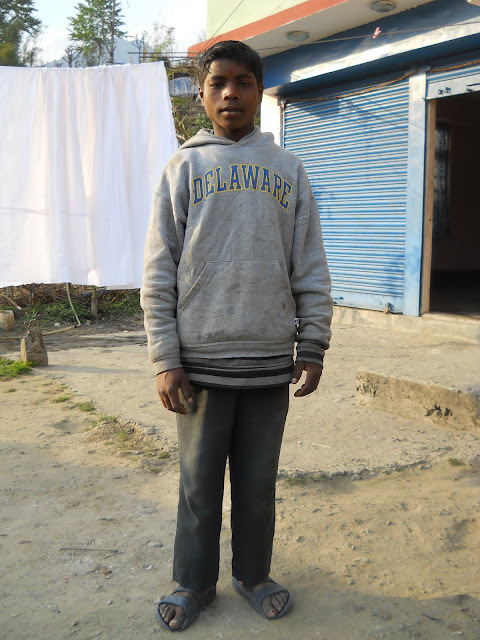 He knew Nepali, which is apparently similar enough to Hindi that I could communicate with him a bit. He insisted that I drink some of the water that was dripping from the ceiling of the alcove, and then went off about his business. Yuksom is a good place to stay. 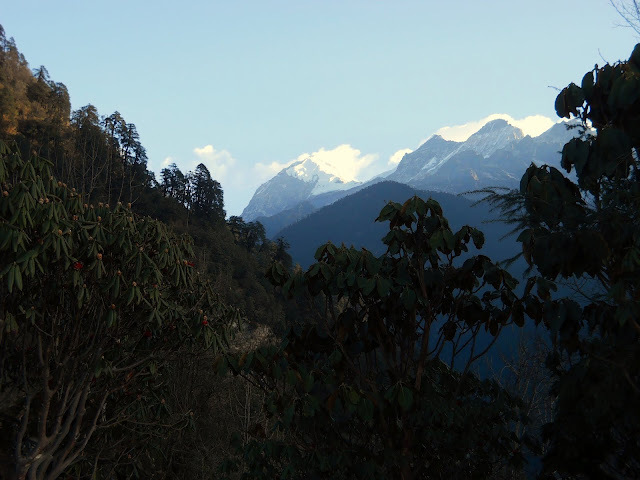 The views may not be as spectacular as other places in Sikkim and West Bengal, but since the place is still basically a village, it's easy to make friends, and it's peaceful enough to get a good nights' rest...that is, if you're not completely blitzed out of your mind. They really like their alcohol in Sikkim, and unlike in Nagaland, there's no legal barrier to getting smashed beyond belief. They brew a bunch of their own products, including the 8% proof HIT beer, which they drink by the liter. You can just walk into any shop and pick up gallons of the stuff. At one point wound up being invited to a house warming party being thrown by friends of the woman who ran the guest house I was staying at. They were all Nepalis, and since I was both completely new to the place and the only foreigner among the fifty or so guests, I was feeling a little out of place. However, as the night progressed, and the gathering became progressively more smashed, the awkwardness didn't disappear, but rather ceased to be an issue. They did however demand that I dance to Nepali songs, a situation which required me to resort to the only dance I know, namely, my personal interpretation of the Assamese Bihu dance. It was kind of terrible, but, then again, everybody else was so drunk that I really couldn't bring myself to feel embarrassed. And that wasn't the only alcohol fueled gathering I unexpectedly found myself at. On the day I went up to the Monastery I had spent about 5 hours wandering around. 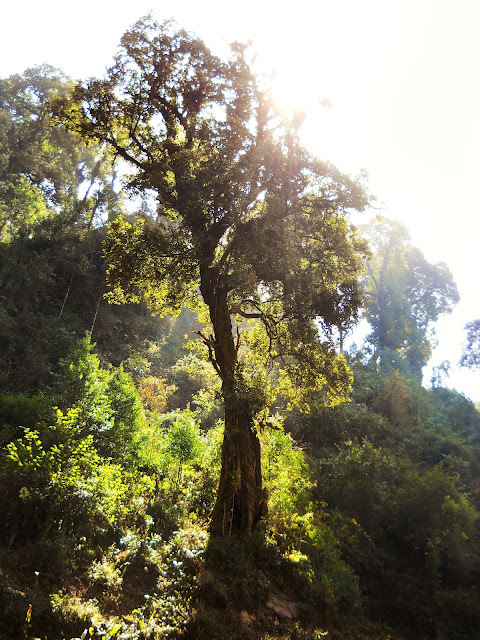 After climbing up about 800 feet from Yuksom to Dubdi, I was lost in the jungle for a while, and then had my little adventure next to the waterfall, after which I had to walk for about 90 minutes to return to the village. All I really wanted to do was to go back to my room and have a nap, but I had been invited to the wedding of an important Bhutia couple that day, and it would have been rude of me to not show up. The wedding party started at 7A.M that day, and continued unabated for about the next 24 hours, with the guests, who came from all manner of backgrounds, religions, communities, and nationalities, getting progressively more and more drunk and silly. The trail coming back from Dubdi Monastery led right past the venue, so I wound up not even being able to go back to my room before blundering into the party. So, I wandered into a tent full of boisterous Nepalis, Bhutias, Bengalis, Lepchas, along with a Californian (!!!!) couple, feeling, again, a mite out of place. And also thirsty. I hadn't drunk anything on my walk. Thinking that I would only be going to the monastery and back, I hadn't brought any water with me. But these folks had a cure for that: they deposited a huge HIT Beer in my hand, and, without thinking, I gulped down a good half of it in one go...I no longer felt thirsty...nor any inhibitions... nor out of place...having had no food or water and having just walked for five hours, I was hit pretty had by the HIT beer. I remember having a loud conversation with the Californian couple about the town of El-Segundo (where my sister lives), Point-Pleasant Beach New Jersey (where the woman, and, incidentally, my Dad, are from), and Majuli Island in Assam. Then I stumbled back to my room and fell asleep. Still,I went back later, and had pretty good time. I wound up talking to a tipsy Lepcha fellow who worked in the Gangtok Police Department. Apparently his job was to throw out illegal immigrants. I also got hit on by a table full of Bhutia Women, all of whom were apparently married, and many of whom had kids. They really wanted me to dance to Hindi songs (such as "Aunti-ji Aunti-ji") with them, but fortunately they were all too drunk to stand, so it wasn't very hard to wriggle out of it. 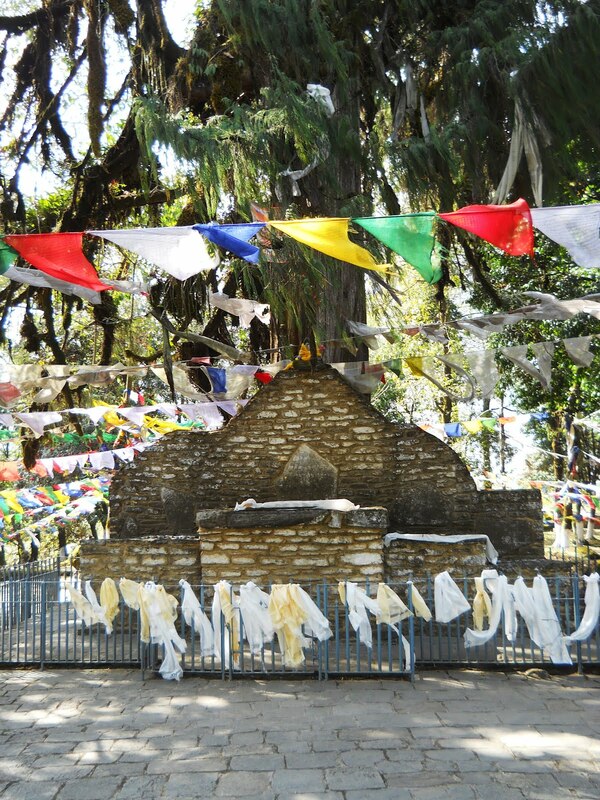 Starting out on the Goecha La Trek. The man to the right was a Nepali by the name of Rahul. 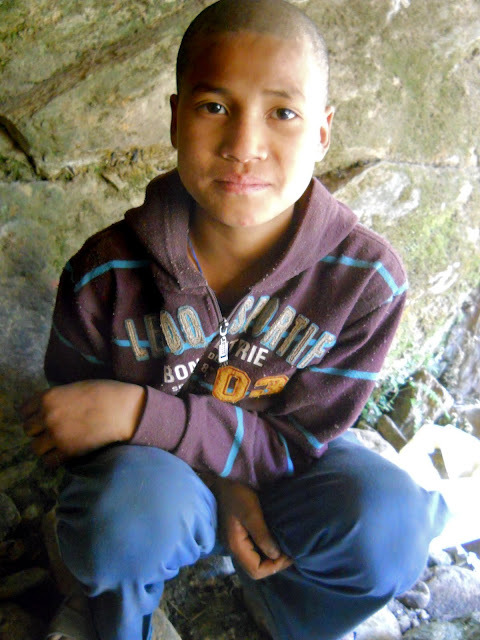 He wears the ubiquitous yellow gumboots that one sees everywhere in Sikkim. 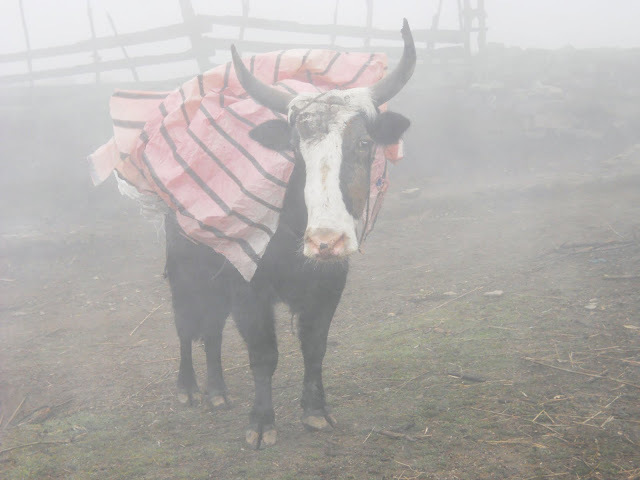 His job was to manage my little expedition's cow/yak hybrids (Dzos? Yows?). I had four guys with me: Bicheung, my guide, and the leader, a cook, Rahul, and a porter/assistant. There was also good old Leo Cloppenburg, but I did'n't see too much of him. The picture was taken in a landslide area. 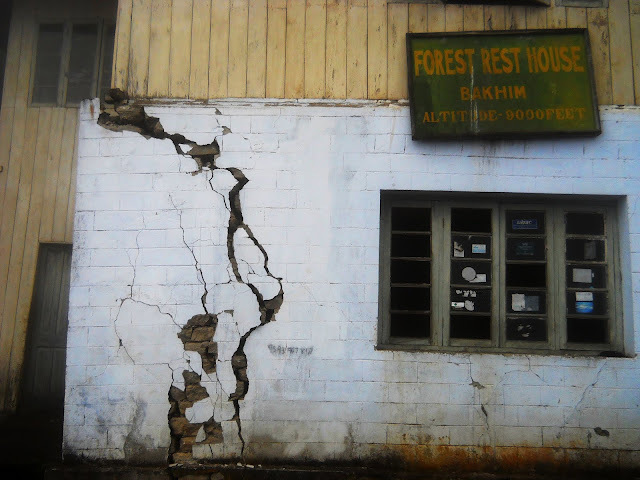 Sikkim was hit by a huge Earthquake last year, which caused landslides all over the state. 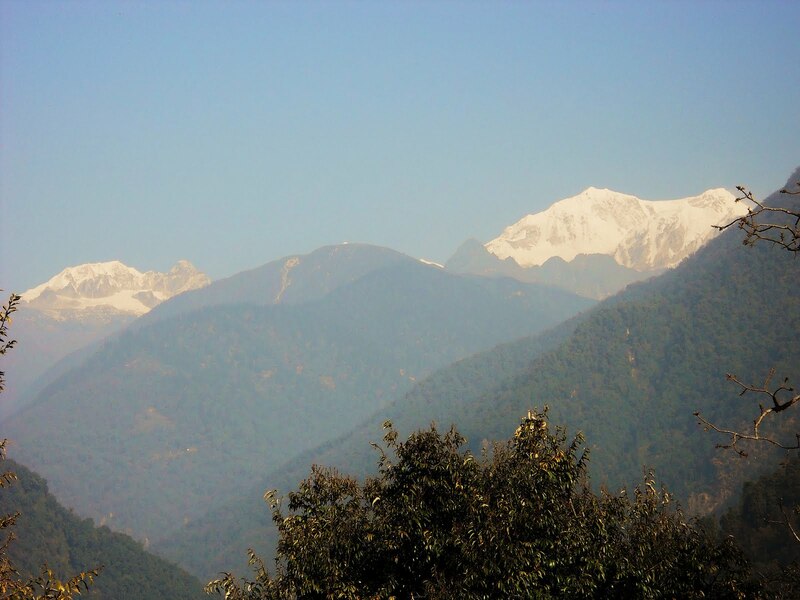 The foothills of the Himalayas tend to be composed of loose sediments, and are prone to mass-wasting. One of our cow/yak hybrids in the village of Tsoka (10000 ft). 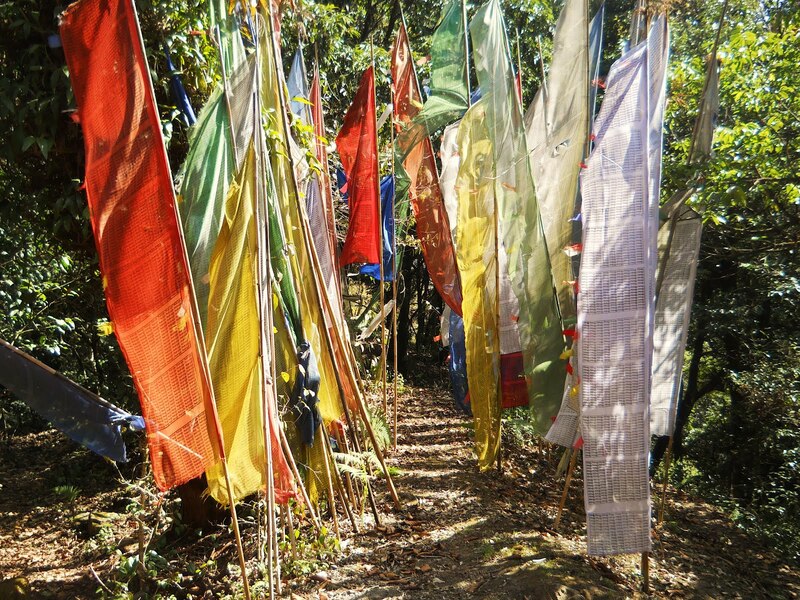 Tsoka was founded by Tibetan refugees in 1967 (which was during the worst phase of Chinese oppression, namely, the Cultural Revolution). The Tibetans, of whom there were five or six families, were apparently fairly comfortably settled, until the creation of Kanchenjunga National Park. When that happened, they were kicked out of the village and told to settle down in Yuksom. 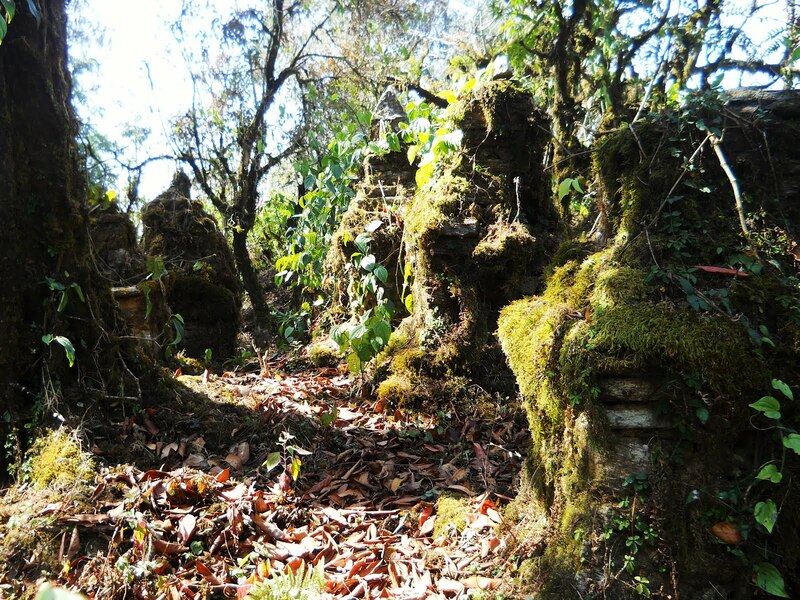 Their houses were broken down to build trekkers huts. A small abandoned monastery in Tsoka. 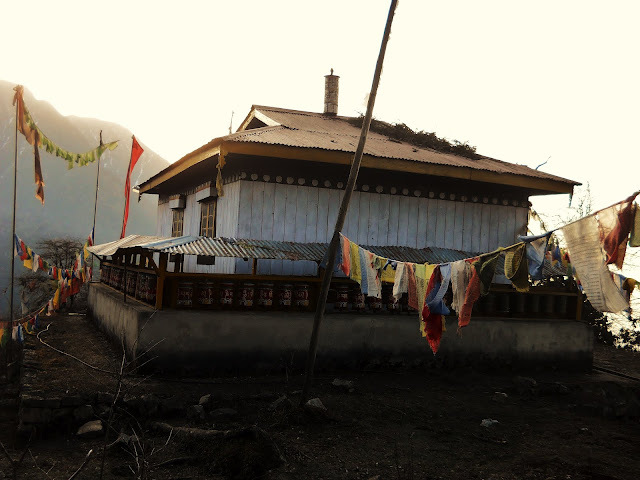 Apparently the Dalai Lama came up to visit once, before the village was vacated. First view towards the higher ranges, from Tsoka. The peak furthest to the left is Mt. Pandim. The previous evening you could barely see your hand in front of your face. The next morning, from an overlook above Dzongri, at around 14000 ft, looking south across Sikkim and West Bengal. That morning it was freezing cold, with wind so strong it literally felt like I was about to be blown right off the side of the hill. The temperature was so low it hurt to breath. First view of mt. 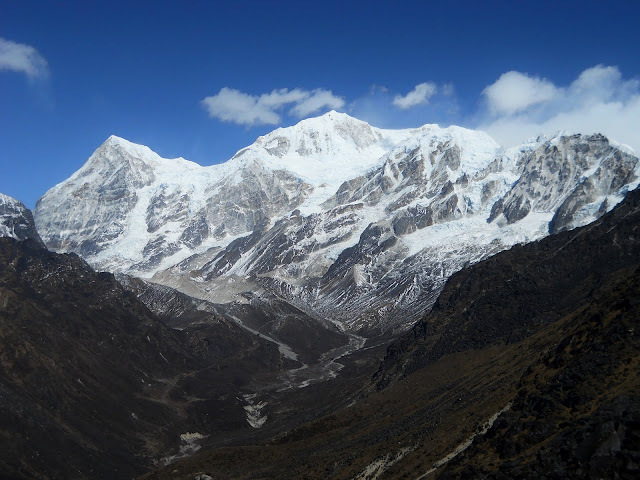 Kanchenjunga (28169 ft.), the world's third tallest peak. It's the triangular mountain to the left of center, with the clouds streaming off it. 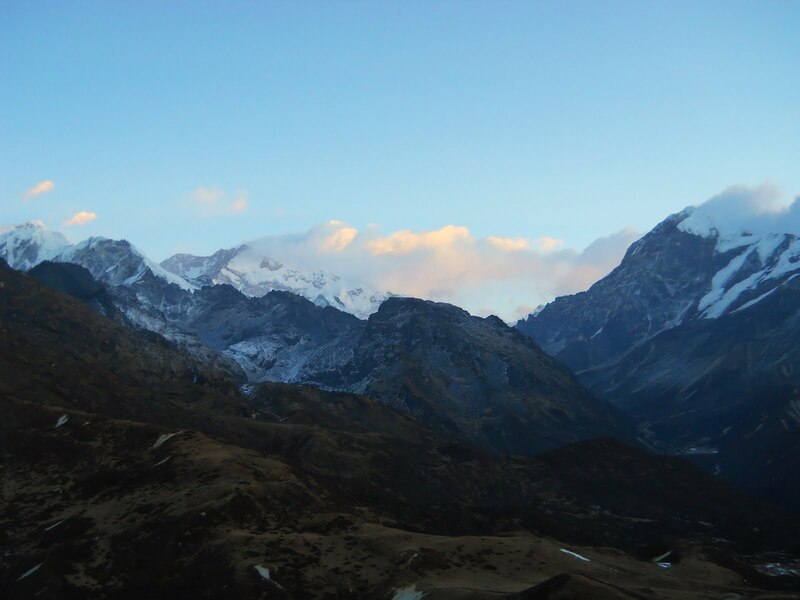 Later the same day, looking towards the Singalila Ridge and Nepal, with bad weather advancing up out of the valleys. There was a small blizzard that night. Bicheung heading up towards the Dzongri La (about 14000 ft). La, by the way, means "pass" in Tibetan. I believe the large peak in the center of the picture is Kabru Dome. The view from Dzongri-La, looking towards Kabru. 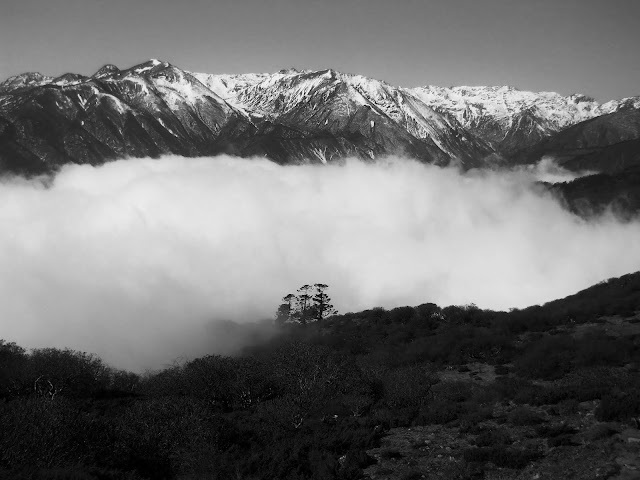 The Himalayan Mountaineering Institute base camp is situated at the bottom left of this picture. Moving on. 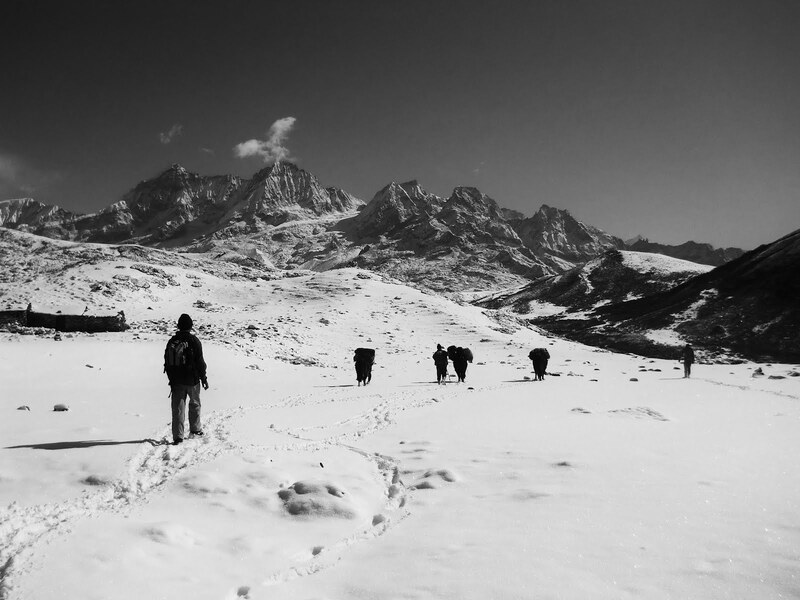 Trekking through the snow in Dzongri. So far, we had had bad weather everyday. Usually the early mornings were bright and clear, but by around 10 am clouds would move in, and by the afternoon we would usually be dealing with ice and snow. The nights were brutally cold, often with fairly heavy snow. 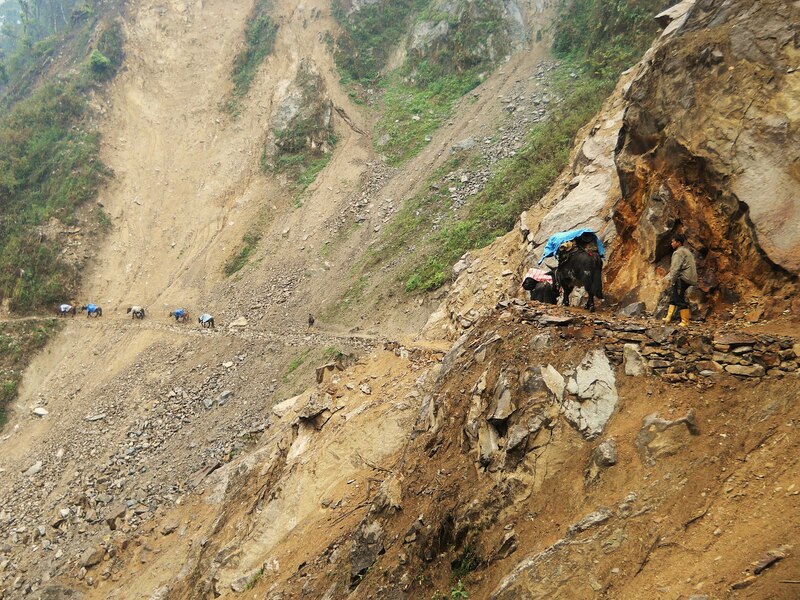 The conditions were so bad that most of the other groups who had come as far as Dzongri were turning back. I think this was the coldest I've ever been. 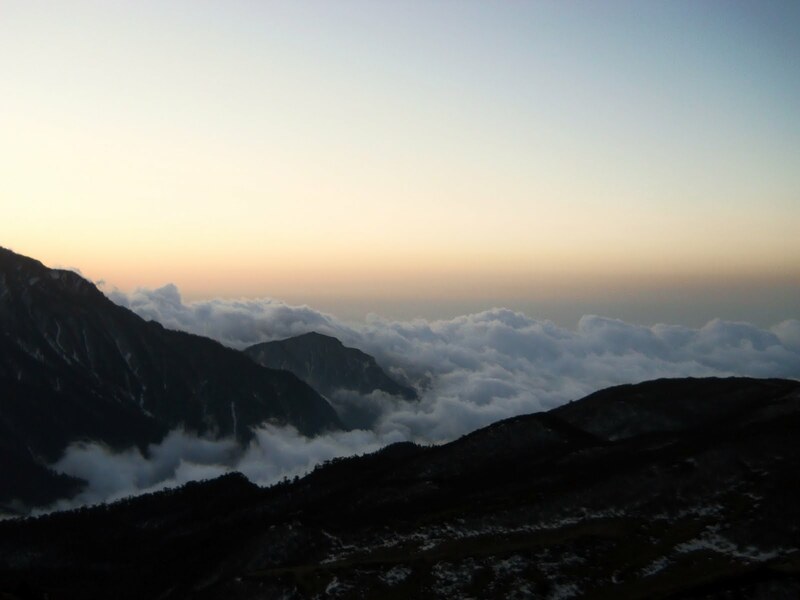 The weather being the way it was, it seemed unlikely that we would make it to our original objective, the 16,500 ft Goecha La. 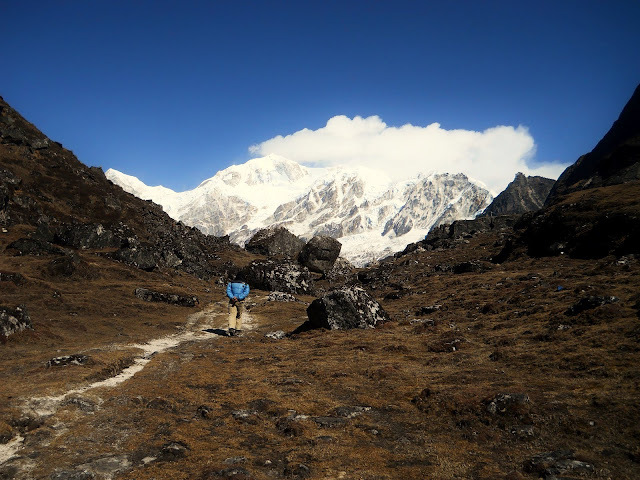 Still, we decided to try anyway, making us the first group this year to venture beyond Dzongri.